Heat oil in large heavy pot. Cook onion and celery until translucent. Season chicken pieces liberally with salt and pepper. Place chicken skin side down in pot and brown, about 5 minutes. Add carrots and cover with water. Bring to a simmer and cook for 1 hour. 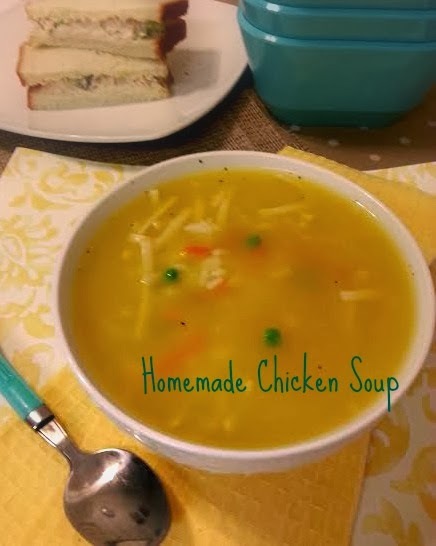 Remove chicken from soup and let cool. Remove meat from bones and shred, discard skin. Return meat to pot and stir in parsley and noodles. Cook for another 20 minutes. Just get me some crusty bread and I am set! 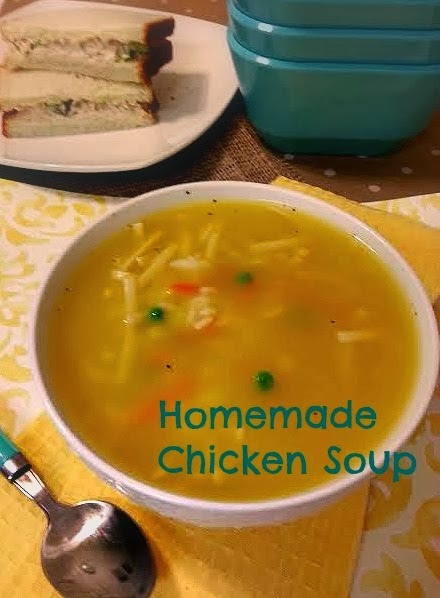 Chicken soup is certainly good for the soul and I could always go for a bowl. :) Thank you sharing at #GetHimFed Fridays! !